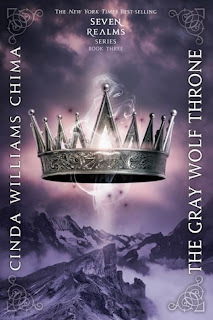 Today I’m excited to interview Angela Brown and Gwen Gardner, who have joined forces in publishing their books and have a blog together, Partners in ParanormYA. Angela’s been a follower since I started blogging and I’m just getting to know Gwen. This is the final stop in their blog tour. Angela’s book NEVERLOVE and Gwen’s book GIVIN’ UP THE GHOST were released on October 8, 2012. Since they’re partnering for their book releases, I thought it’d be fun to interview them together. I was excited when they agreed. And what perfect books to spotlight on Halloween! For seventeen-year-old Abigail, one rash decision leads to an unexpected chance for redemption. At V'Salicus Academy, a unique institute where she trains to become an agent of heaven, she struggles with the pain of her past, the changes of the present and accepts a loveless future until her path – and heart – crosses with Basil’s. Murder victim Bart Bagley is not content to merely roll over in his grave. He wants his murderer caught and he wants teenage ghost whisperer, Indigo Eady, to help him. It becomes obvious that Bart’s temper lead to more than one disagreement, but is it enough to want him dead? With nothing but a cold trail and a hot list of “friendly” suspects, Indigo and her friends race to find the killer before they become the next victims. Hi Angela and Gwen. Thanks so much for joining us. First, we’d like to thank you, Natalie, for having us here today. 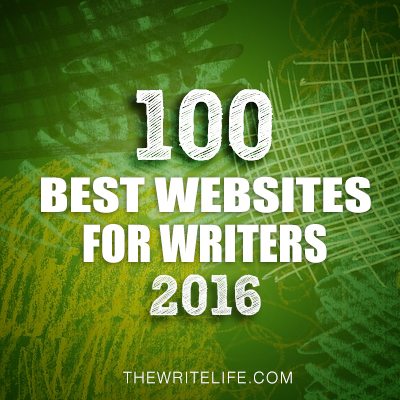 I adore Literary Rambles and all you and Casey do for authors and readers. As for me, not a whole lot to tell. I started writing in elementary school and toyed with the idea of writing through my teen years. Just didn’t think anyone would take me seriously. I grabbed the pen by the top when my daughter (nicknamed Chipmunk) was born. I wanted to be an example of going for your dreams, not just lip service. I’m a bit of a late bloomer. I graduated college at 41 and started writing at 50. I wanted to write since college, but procrastinated, telling myself that someday I would. But when you’re 50, “someday” is staring you in the face in a big way. I quit my job, moved to the mountains and started to write. 2. Yay for late bloomers, Gwen. I'm one too. Share how you came up with the idea for your story. I’ve always been fascinated with the paranormal, psychics and ghosts and all of that. 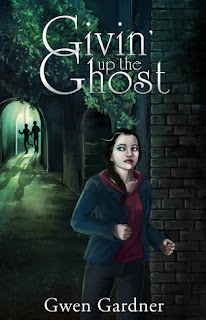 So when I decided to write a book, I knew my main character would be a ghost whispering psychic. The only thing that really changed is that I changed it from middle grade to young adult. 3. I remember you doing that for the A to Z challenge last year, Angela. So awesome it turned into a book. Who is your favorite character in your story and why? That would be Abby. There are so many tidbits of “me” interwoven into her and so much more that I wish I could be. She’s damaged and learning to deal with that. I can understand where she’s coming from. I hate to choose a favorite, because I love them all! But if I had to choose, I’d have to say Indigo Eady is my favorite. I wrote my entire book in third person, but it didn’t have a hook and the characters just didn’t grab me - until I played with Indigo’s voice in first person. That’s when she came alive. So I changed the whole book to first person in Indigo’s voice, and got to know her really well. That’s why she’s my favorite - I know her better than the others. 4. For this one, I have separate questions for each of you. For Angela, I know you’re a single mom, have a demanding job, blog regularly and follow blogs, and set writing goals for yourself that you meet. I know because you post them regularly on your blog, (which I recommend you all follow). How do you juggle it all and stay productive? For Gwen, I read on your website that you quit your successful corporate job and moved to the mountains to write. What made you decide this and how do you schedule your time to stay productive? It’s funny you ask. I can think of two words: God and Passion. Wrap that in copious amounts of Wild Cherry Pepsi, late nights to read, write and blog and early mornings to make sure the Chipmunk gets off to school with a happy belly and a smile. There’s some sleep in there somewhere…I think lol! The encouragement I’ve received from family and friends has also helped tremendously. To elaborate on what I said above, 50 is rather a milestone in life. I had a high paying, steady job, but it isn’t what I wanted to do with my life. When you’re 50, life’s too short to not be doing what you want. So I threw it all in. It’s been tough financially, but I’m ever so much happier as a broke writer. 5. I know what you mean about the sleep, Angela. And Gwen, I admire your bravery in following your dreams. It's a big step to quit a successful job like you did. You both decided to self-publish your books and you have partnered up to do it. I think that’s a fabulous idea to join forces like you have. Share with us what went into your decision to self-publish and how you decided to do it together. 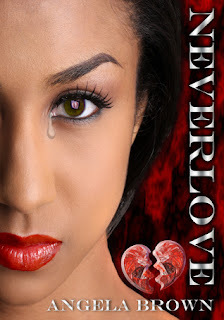 I’d been considering self-publishing Neverlove from the moment I decided to make it a novel. Everything started falling into place with Gwen. One e-mail led to a great conversation then on to the fateful moment of me asking Gwen if she’d like to partner up to self-publish and promote our books together. It’s been stupendous having a fantastic partner like Gwen along this journey. What I write isn’t exactly a main stream genre. It’s what I call young adult light paranormal “cozy” mystery. I think that most people enjoy heavier, more in-your-face types of paranormal fiction. Long story short, I didn’t think a publisher would be interested in my brand. So I decided to (once again) take things into my own hands and self-publish. 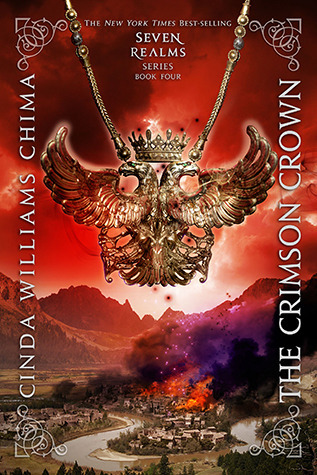 Angela and I became critique partners, and she was aware I wanted to self publish. So our partnership just sort of evolved from there. 6. Did you find any resources especially helpful as you learned all the nuts and bolts of self-publishing a book? Other bloggers have been the best! Seriously. 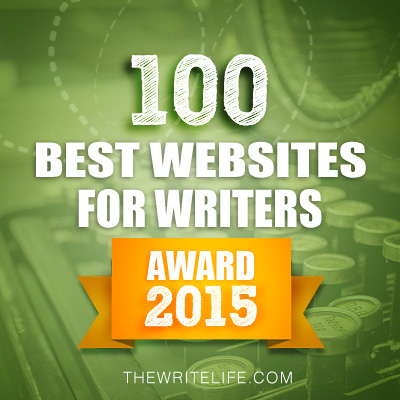 I don’t think I could have done this without the great resources shared by other bloggers. 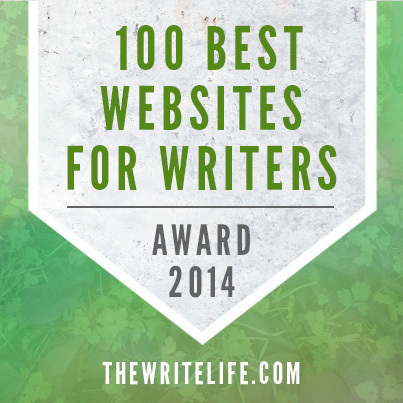 Rock on writing community! Most of what I learned came from other bloggers. Blogging writers are so good about sharing their experiences. If something works for them, they share it. If something doesn’t work for them, they share that too. There is an enormous amount of information circulating throughout the blogosphere. 7. Yes, the blogging community is very supportive of each other. And there are many self-published authors willing to share what they've learned from their own experiences self-publishing. What are you working on now? I’m at the beginning stages of the sequel to Neverlove. I also have a middle grade novel that’s been begging escape and I have a YA urban fantasy/dystopian that I’m sort of in limbo with because the vampire aspect has it sort of “questionable” as to audience appeal. I’m working on the second book in my Indigo Eady Paranormal “Cozy” Mystery Series, called A Guilty Ghost Surprised. Thanks Angela and Gwen for sharing all your advice. You can find Angela at Goodreads, Twitter, Amazon or my blog page Angela Brown in Pursuit of Publishness. And you can find Gwen at GoodReads, Amazon, and at her blog, Gwen Gardner, YA Author. 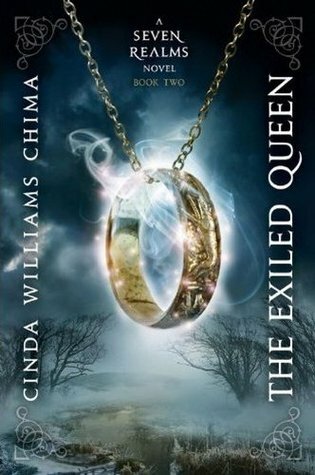 Angela and Gwen are each generously offering an e-book of their books for a giveaway. On Monday I'll be interviewing a teen for my ASK THE EXPERT series and sharing THE SPINDLERS by Lauren Oliver with you and giving away two copies of it. I'm a huge fan of Lauren's and I was excited to get an ARC. The world building in her new book is amazing and it's a great story. Natalie here today. I'm excited to share a tip by Jody Lamb, a fellow Michigan SCBWI member. 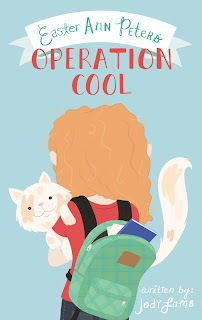 Jody's also offering a copy of her new book, EASTER ANN PETERS' OPERATION COOL for a giveaway. Details are at the end of Jody's post. 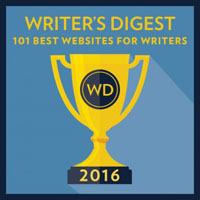 It’s one of the most commonly asked questions of authors: Where do you write/create art? What’s your writing space like? Our curiosity is fueled by hope to discover a magical spot where creativity flows and genius concepts arrive in a sparkly bow. The answers are as varied as how-to-write-the-next-great-thing publishing agent and editor discussion panel. Cozy, cluttered basement offices, tattered tree houses, bustling coffee shops, in one’s pajamas, trains and even closets: I’ve heard of them all. Some people cannot write anywhere but their staple spot. Others require constant variety. Most of us creators are limited in the options for such creative space. 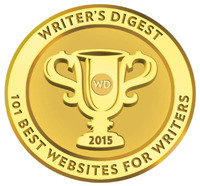 You may feel tremendous urgency in hitting the word counts and other WIP milestones. We squeeze in extra 15 minutes of writing time whenever we can, often wherever we can. I’ve discovered that when I’m under self or editor-imposed deadlines, I consider working in distraction-loaded places because it’ll save me commute time to get elsewhere. However, if not for the creative space I found, I wouldn’t be celebrating the upcoming release of middle-grade novel, Easter Ann Peters’ Operation Cool. I wrote most of four drafts of my debut novel, beside this lake in a public park. It’s my favorite to place to be. My love of this place began in the summer of 2009. I was 26 years old and in the midst of a quarter-life crisis. My peers appeared to be settling into grownup life and letting dreams slip away with smiles pasted all over Facebook. I felt lost, longed for a sense of purpose and feared I was alone in my struggles with lack of satisfaction. I found little enjoyment in my job. I had accidentally moved up the corporate marketing and PR career ladder. As a child, I found great joy in writing screenplays and short stories but I gave up creative writing in high school to use my skills in a practical career in journalism and media relations. Could I find joy in creative writing as a grownup? This is the question I longed to answer when I enrolled in a creative writing course at my local community college. Every Tuesday and Thursday, I’d hurry from my office to arrive early for the 6 p.m. class. After the first week, I felt a sense of hope that I could claim the kind of fulfilling grownup life I’d hoped for as a child. In the beginning, when I sat down to pen or key my homework assignments at home, at coffee shops or at a library, I froze. It felt, well, like homework. I was distracted by the usual stresses around me – the deadlines, the people, the carpet needing vacuuming. So I went to the park. Right away, when I unpacked my notebook and pen, I actually felt lighter, as crazy as that might sound. My work stresses and family drama weren’t with me there. Expectations and obligations. Worries and insecurities. They all slipped away. There, if only for a minute or two, I’m a writer with a notebook full of blank pages and a pen full of ink. It’s how I always thought grownup would feel. Being there is good for my writerly soul, like eating ice cream, and I am so grateful for that free feeling. Several times while I wrote and edited four whole drafts of the story, I wanted to skip the park. Sometimes, it seemed more convenient to go the local coffee shop. The weather was often a headache – sometimes it was ultra chilly, other times it was crazy hot. But I was always glad I went. I hope you have a special place and if not yet, I hope you give it thought. You’re creating because you have talent! It’s a big deal and therefore, it deserves careful thought about where to put your skills to greatest use. Odds are that your best work comes when you’re somewhere you feel relaxed. You’re going to need something cool to describe when you’re asked the where-do-you-create questions. High five and write on! 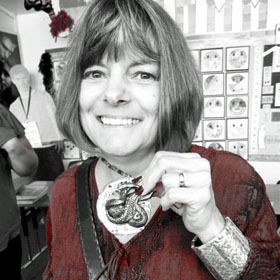 Jody is a SCBWI Michigan member. Luckily, she’s pretty much the same person she was at twelve years old, even though she’s a grownup now. Jody loves books, writing, ugly dogs, peppermint ice cream, ear-to-ear smiles, insides-twisting laughter and her family. She is a passionate advocate for kids with alcoholic loved ones. Like Easter Ann, Jody lives in Michigan with furry friends. “Easter Ann Peters’ Operation Cool” is her first novel. 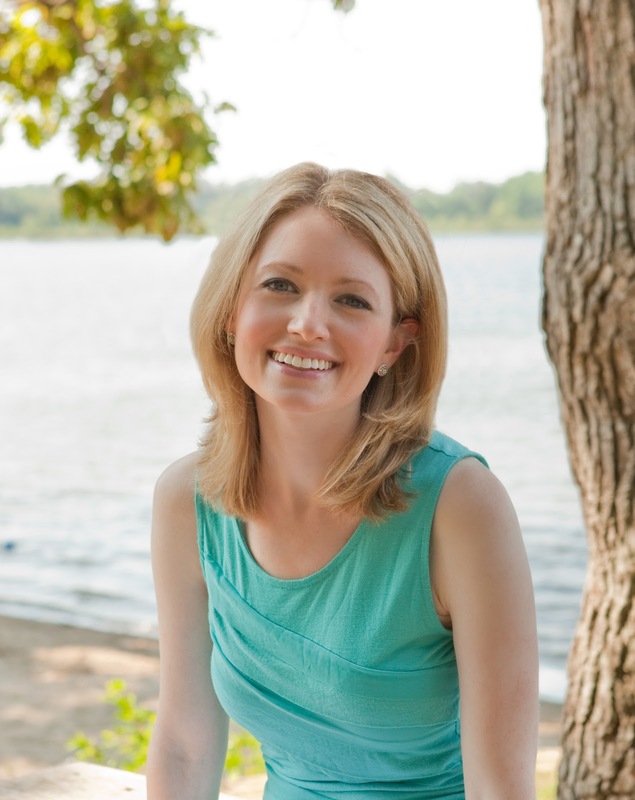 She is currently writing a young adult novel and has plans for another middle-grade novel. You can learn more about Jody and her debut middle-grade novel, “Easter Ann Peters’ Operation Cool,” on her website – www.JodyLamb.com. 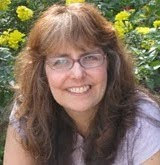 Jody hopes you’ll say hi and connect with her at Facebook.com/JodyLambAuthor and Twitter.com/jodymlamb. She loves meeting fellow story lovers! Twelve-year-old Easter Ann Peters has a plan to make seventh grade awesome: Operation Cool. She’s determined to erase years of being known as the quiet, straight-A student who can’t think of a decent comeback to a bully she calls Horse Girl. When the confident new girl, Wreni, becomes her long-needed best friend, Easter lets her personality shine. The coolest guy in school takes a sudden interest. But as tough times at school fade away, so does a happy life at home. Mom is drinking, and Easter works double-overtime to keep their secret in the tiny lakeside town. Can Easter discover the solution in time? Or will seventh grade be her worst year yet? Jody is offering a copy of EASTER ANN PETERS' OPERATION COOL for a giveaway. Hope to see you tomorrow when I'm interviewing our follower Angela Brown about her debut book NEVERLOVE and Gwen Gardner about her debut book GIVIN' UP THE GHOST with book giveaways. They are both great paranormal books and Angela and Gwen have joined forces for their book releases. It's going to be a fun interview for Halloween.